For the politician in Saskatchewan, Canada, see Frank Foley (politician). Major Francis Edward Foley CMG (24 November 1884, Highbridge, Somerset – 8 May 1958, Stourbridge, Worcestershire) was a British Secret Intelligence Service officer. As a passport control officer for the British embassy in Berlin, Foley "bent the rules" and helped thousands of Jewish families escape from Nazi Germany after Kristallnacht and before the outbreak of the Second World War. He is officially recognised as a British Hero of the Holocaust. He was the third son of Isabella and Andrew Wood Foley, a Tiverton-born railway worker, whose family may have originated from Roscommon in Ireland in the early 1800s. After attending local schools in Somerset, Foley won a scholarship to Stonyhurst College, Lancashire, where he was educated by the Jesuits. He then went to a Catholic seminary in France to train as a priest but transferred to the Université de France in Poitiers to study Classics. While there he reconsidered his vocation for the priesthood and decided instead to pursue an academic career. He travelled extensively in Europe, becoming fluent in both French and German. Foley graduated from the Royal Military College, Sandhurst, and was commissioned as a second lieutenant into the Hertfordshire Regiment on 25 January 1917. He was appointed temporary Captain on 20 September 1917, while commanding an infantry company of the 1st Battalion the Hertfordshire Regiment, and was later with the 2nd/6th Battalion North Staffordshire Regiment, during which time he was mentioned in despatches. The story of his escape from Germany and his language skills had been noted by someone at the War Office. He was encouraged to apply for the Intelligence Corps. On 25 July 1918 Foley was promoted Lieutenant. In July 1918 he became part of a small unit which was responsible for recruiting and running networks of secret agents in France, Belgium and the Netherlands. After|issue=31889|supp=y|page=5215|date=4 May 1920}}</ref> and in December 1921 retired from the Army with the rank of Captain. After the running down of the Commission, he was subsequently offered the post of passport control officer in Berlin which was a cover for his main duties as head of the British Secret Intelligence Service (MI6) station. During the 1920s and 30s, Foley was successful in recruiting agents and acquiring key details of German military research and development. Foley is primarily remembered as a "British Schindler". 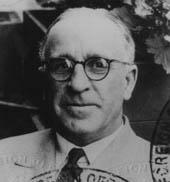 In his role as passport control officer, he helped thousands of Jews escape from Nazi Germany. At the 1961 trial of former ranking Nazi Adolf Eichmann, he was described as a "Scarlet Pimpernel" for the way he risked his own life to save Jews threatened with death by the Nazis. Despite having no diplomatic immunity and being liable to arrest at any time, Foley would bend the rules when stamping passports and issuing visas, to allow Jews to escape "legally" to Britain or Palestine, which was then controlled by the British. Sometimes he went further, going into internment camps to get Jews out, hiding them in his home, and helping them get forged passports. One Jewish aid worker estimated that he saved "tens of thousands" of people from the Holocaust. In 1939 and 1940, he was a passport control officer in Norway until the Germans invaded, when he was attached to C-in-C Norwegian Forces in the Field, for which services he received the Norwegian Knight's Cross of the Order of St. Olaf. On 1 January 1941, he was awarded Companion of the Order of St. Michael and St. George (CMG) as a Captain in respect of services to the Foreign Office. In 1941, he was given the task of questioning Hitler's Deputy Rudolf Hess after Hess's flight to Scotland. After Hess was hospitalized in 1942, Foley helped coordinate MI5 and MI6 in running a network of double agents, the Double Cross System. He returned to Berlin very soon after the war under the cover of Assistant Inspector General of the Public Safety Branch of the Control Commission in Germany, where he was involved in hunting for ex-SS war criminals. In 1949, Foley retired to Stourbridge, Worcestershire and died there in 1958. He is buried in Stourbridge Cemetery. On 27 April 1961, the Daily Mail carried the story, written by his widow, of his activities to save as many Jews as he possibly could with visas to the United Kingdom. When no excuse could be found for a visa to Britain, he contacted friends working in the embassies of other nations for their assistance in granting visas to their countries. His widow, Katharine Eva Foley, died on 17 April 1979 at her home in Sidmouth, Devon. 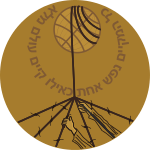 Foley was accorded the status of a Righteous Among the Nations by Israel's Yad Vashem as a direct result of testimony from "living witnesses" found by Michael Smith while researching his biography of Foley. Lord Janner, chairman of the Holocaust Educational Trust, was instrumental in persuading Yad Vashem to look at Smith's evidence. Some members of the Yad Vashem committee that determines whether someone should be named as a "righteous gentile" were initially sceptical that a MI6 officer would not have diplomatic immunity but the then Foreign Office historian Gill Bennett produced previously classified documents that demonstrated this to be the case. The cover of Smith's book features the photograph from Foley's first diplomatic passport with the date it was issued clearly shown as 11 August 1939. In 2004 a remembrance plaque was dedicated to him at the entrance to Stourbridge's Mary Stevens Park. The following year volunteers from Highbridge, Foley's birthplace, raised money to erect their own tribute. A statue was commissioned from sculptor Jonathan Sells and unveiled on the anniversary of VE Day, which is also the anniversary of his death. The 'Frank Foley Parkway' between Highbridge and Burnham-on-Sea opened on 7 July 2009. In 2007, a film about Foley's life was in the planning stages, but the producers were then taking legal action against MI6 to release still-classified documents related to his work. Frank Foley risked his life to save the lives of thousands of German Jews. Without the protection of diplomatic immunity he visited internment camps and sheltered Jewish refugees in his house. Frank Foley was a true British hero. It is right that we should honour him at the British Embassy in Berlin, not far from where he once worked. On 31 May 2009, a garden was dedicated in his memory at London's Sternberg Centre, where a plaque was unveiled by Cherie Booth. In 2010, Foley was named a British Hero of the Holocaust by the British Government. In 2012 the Foreign Secretary, William Hague, unveiled a plaque to him at the Hoop Lane Jewish Cemetery in Golders Green, London, an initiative led by the Spanish and Portuguese Jews' Congregation and West London Synagogue. A National Express West Midlands bus is dedicated to him. Michael Smith (2016). Foley: The Spy Who Saved 10,000 Jews. Biteback. ISBN 9781785900549. Anon (1964). Who Was Who, Vol. V, 1951–60. Adam & Charles Black. ISBN 0713625988. ^ Mordecai Paldiel, Diplomat Heroes of the Holocaust (KTAV Publishing House, Inc., 2007), pp. 8–17. ^ "Astonishing tale of Devon railway worker's son on Hitler's 'Most Wanted' list". Western Morning News. 11 September 2015. Archived from the original on 21 October 2015. Retrieved 29 October 2015. ^ Smith, Lyn (2013). Heroes of the Holocaust: Ordinary Britons who Risked Their Lives to Make a Difference. Random House. p. 9. ISBN 9780091940683. ^ Walker, Jonathan (31 May 2013). "Campaign to get Stourbridge war hero Frank Foley knighted". Birmingham Post. Retrieved 29 October 2015. ^ "No. 29931". The London Gazette. 6 February 1917. p. 1279. ^ "No. 30390". The London Gazette (Supplement). 16 November 1917. p. 11993. ^ a b c d e Stourbridge County Express dated 10 May 1958 – Obituary Major F E Foley CMG. ^ a b Anon (1964), p. 384. ^ a b c Smith, Michael (1999) Foley: The spy who saved 10,000 Jews. London: Hodder & Stoughton. ISBN 0-340-76603-4. ^ "No. 30823". The London Gazette (Supplement). 30 July 1918. p. 9090. ^ "No. 32548". The London Gazette (Supplement). 13 December 1921. p. 10216. ^ "Unknown heroes". BBC Today programme. 20 November 2008. Retrieved 12 October 2012. ^ a b "No. 35029". The London Gazette (Supplement). 31 December 1940. p. 6. ^ Daily Mail, 27 April 1961 – article "Pimpernel Foley". ^ "No. 47845". The London Gazette. 21 May 1979. p. 6556. ^ a b "Britons honoured for holocaust heroism". London: The Telegraph. 9 March 2010. Archived from the original on 9 March 2010. Retrieved 9 March 2010. ^ Highbridge honours Frank Foley with statue, BBC, 5 May 2005. ^ "Cherie Blair could help Foley Film". Burnham and Highbridge Weekly News. 26 January 2007. Retrieved 27 March 2009. ^ "Briton who saved Jews remembered". BBC. Retrieved 29 April 2016. ^ Dysch, Marcus (15 June 2012). "Hague to honour wartime British spy who saved Jews". The Jewish Chronicle. Retrieved 31 July 2016. ^ "Bus for local hero Blind Dave Heeley". National Express West Midlands. Retrieved 29 April 2016. Michael Smith. Foley: The spy who saved 10,000 Jews. Hodder, 1999. ISBN 0-340-76603-4. Burnham and Highbridge Weekly News. Kevin Spacey or Anthony Hopkins for Frank Foley Film?. This page was last edited on 18 April 2019, at 17:40 (UTC).